Genetic eye problems are more common than you might think. It’s estimated that over 60% of cases of childhood blindness are caused by genetic factors – which is one of the many reasons we want to help raise awareness for Jeans for Genes Day 2018. This year’s Jeans for Genes Day is on Friday 21st September, so whether you’re at home, at school, at work or out and about, don some denim to support children affected by genetic disorders. Two of the leading causes of blindness in adults are glaucoma and age-related macular degeneration (AMD). Glaucoma, in particular, has many causes, with family history being a risk factor. Luckily, it can usually be detected during routine eye examinations before more concerning symptoms present themselves. Although the exact cause of age-related macular degeneration is still unknown, evidence suggests there is a genetic consideration. It doesn’t cause total blindness but does affect the middle part of your vision, causing grey areas or visual disturbances in the centre of your sight. Age-related macular degeneration becomes more likely in those over 50. Here at Leightons we recommend an OCT (Optical Coherence Tomography) scan as part of your regular eye examination. This works like ultrasound for the eye, helping us to detect any issues with your sight up to five years earlier then a standard sight test. It allows us to view the layers of tissue behind the retinal surface as a cross section, helping us to spot the early signs of conditions such as AMD, glaucoma and diabetes. If you have any concerns about your vision, or are due for a routine eye examination, please contact our friendly and professional team on 0800 40 20 20, book online or pop into your nearest Leightons branch. 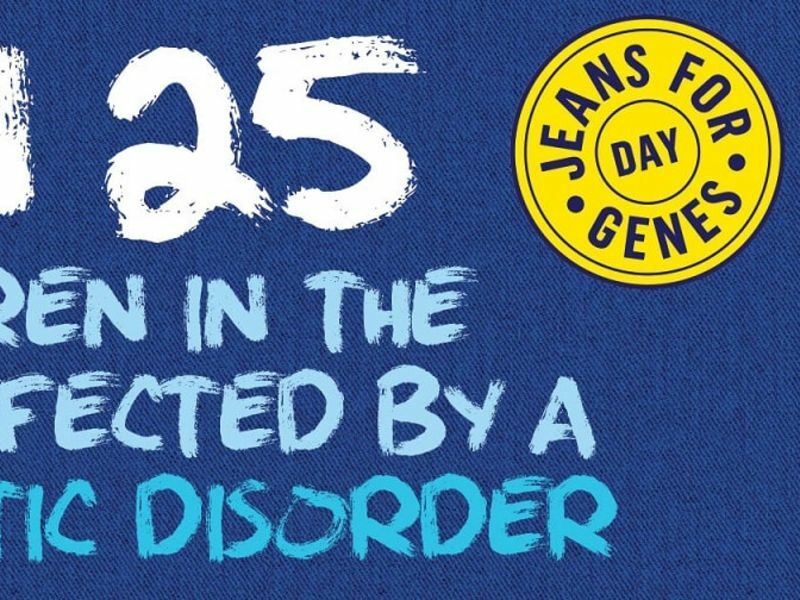 For more information about Jeans for Genes Day and some great ways to show your support, visit the official website here, or you can find out more about the charity behind the campaign, Genetic Disorders UK.